As you probably know, life insurance is a useful product if you want to make sure that your nearest and dearest are looked after when you’re no longer around. It’s designed to provide a large sum of money to your partner and/or children. Many of the big insurers offer over-50s life insurance, which pays out a cash sum when you die. The big advantage of an over-50s policy is that acceptance is guaranteed. You don’t have to answer any health questions or pass any medical test. 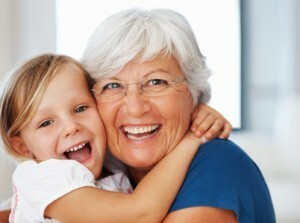 If you are between the ages of 50 and 80 or sometimes 85, depending on the policy, the insurer will not turn you down. There are insurance providers who offer whole of life assurance, which means that as long as you keep paying the monthly premiums, you are covered. Often, the payments stop when you reach 90 years old, but the policy is still valid and pays out. If you do have health concerns, or you have found that traditional life cover is too expensive, you may be better off looking at– over 50s life insurance.